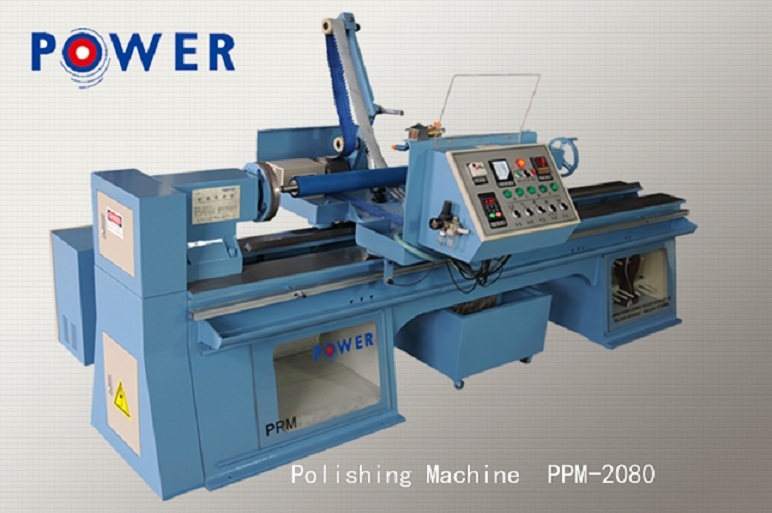 Product categories of Polishing Machine, we are specialized manufacturers from China, Polishing Machine, Rubber Roller Polishing Machine suppliers/factory, wholesale high-quality products of Rubber Roller Processing Machine R & D and manufacturing, we have the perfect after-sales service and technical support. Look forward to your cooperation! polishing rollers at the same time, does not change the geometric size of rollers, by changing the abrasive belt with different grain sizes, the surface of rollers can reach the required finish,operating system is simple and easy. Base on the basic PSM series General Grinding Machine, Power Company produces follow up working procedure equipment. It is also the important equipment for the finish machining of the Rubber Roller. It can enable the roller surface to reach the needed roughness by choosing the abrasive band with different granularity on the premise of not changing the geometric size.